When a good friend texted me last week, “Are you an adventurous eater? Are you free Wednesday,” my answer was yes and yes. That is how I got to try my first Japanese hot pot. 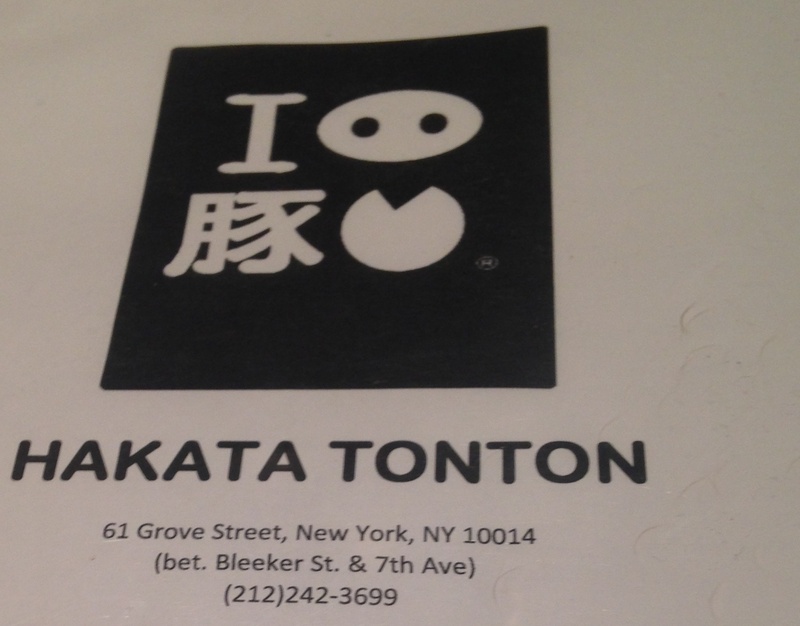 Hakata Tonton is a little spot in the West Village, pretty hard to get reservations, so we were going out at 9:30pm on a Wednesday. 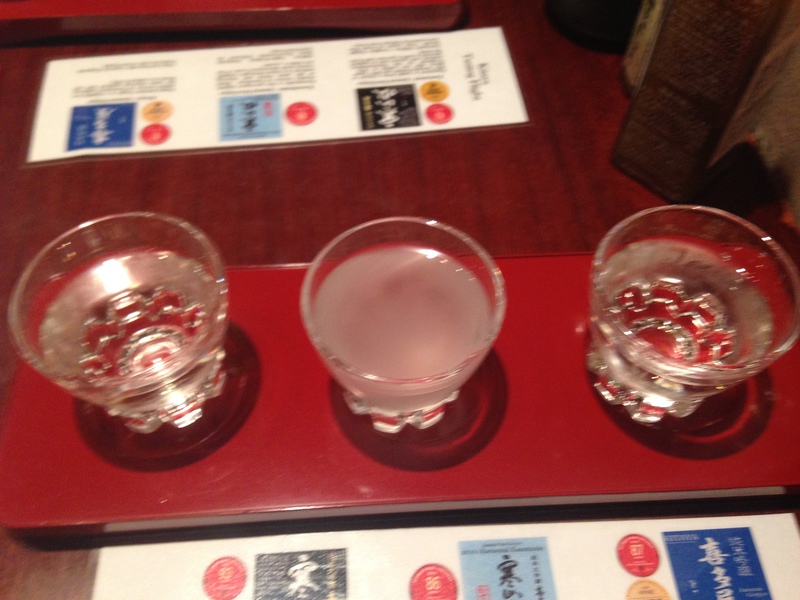 Of course, we had to start out the meal with a sake tasting flight at the suggestion of my friend Eric Berelovich. From left to right, we tried a Kansansui, Kasumizake, and Kitaya. The driest of the three, the Kitaya was my favorite. The Nigori (cloudy) texture of the second sake is not a taste that I love. We went a little crazy with the appetizers, but there is nothing wrong with that! 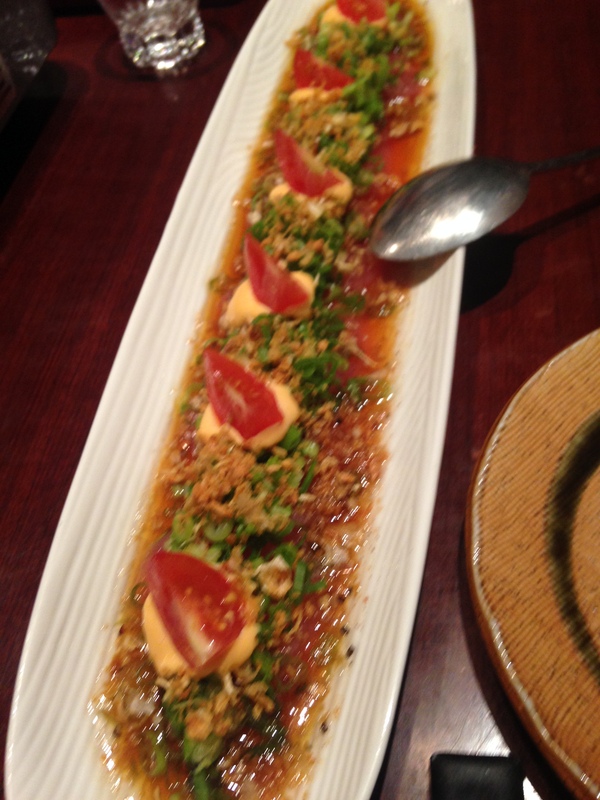 First we had the Tuna Carpaccio with scallions, tomatoes, fried garlic chips, and a healthy slab of spicy mayo. It was delicious, not too spicy, plenty of crisp. 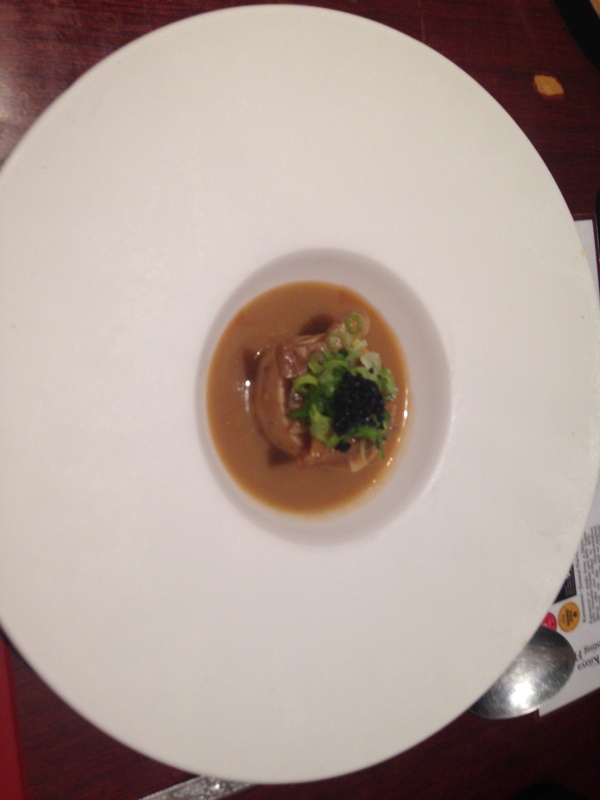 The next dish up was Monkfish Liver. I don’t think I have ever had monkfish on its own, but the liver was incredibly rich and tender. 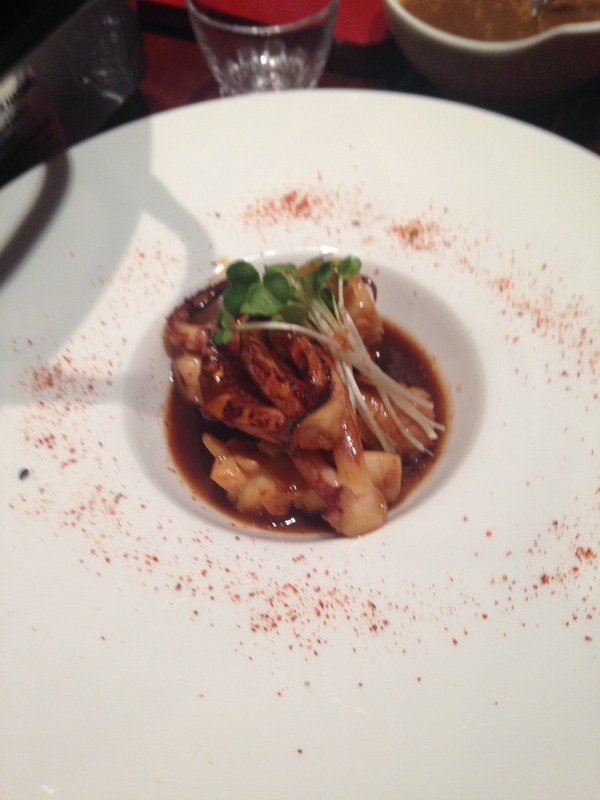 At my request, we got the special, grilled squid! It’s always a gamble, often squid is served too tough. I thought this one was exceptionally well prepared. Even before we got to the main event, we got to sample a plethora of delicious Japanese dishes. Check back here later this week for the Hakata Tonton hot pots! Glad to see the Athena blog is back! WHAT DID YOU ORDER FOR PART 2?? ?